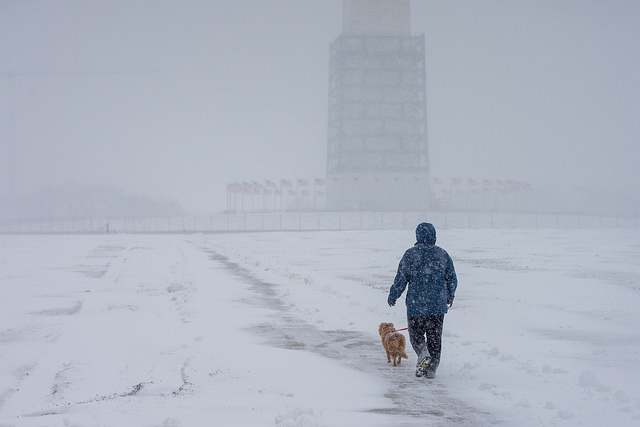 A Winter Storm Warning has been issued from 7pm Sunday- 2pm Monday predicting 4-8 inches for the DC area. What are the odds for one more snow day? And remember that street sweeping is suspended for Monday and Tuesday. “Due to forecast weather and road conditions, Metrobus service is expected to begin Monday on a “moderate” snow service plan, meaning that many Metrobus routes will have planned snow detours in effect to keep buses off of hilly terrain, narrow side streets and other problem areas. Most, if not all, Metrobus routes are expected to operate under the moderate snow service plan.